Officials tell the Wall Street Journal the US military is preparing to pull all American forces out of Syria by the end of April. The US military is preparing to pull all American forces out of Syria by the end of April, even though the Trump administration has yet to come up with a plan to protect its Kurdish partners from attack when they leave, current and former US officials told The Wall Street Journal on Thursday. With US-backed fighters poised to seize the final Syrian sanctuaries held by the Islamic State (ISIS) in the coming days, the US military is turning its attention toward a withdrawal of American forces in the coming weeks, these officials said. Unless the Trump administration alters course, the military plans to pull a significant portion of its forces out by mid-March, with a full withdrawal coming by the end of April, they said. The military-planning process comes as the Trump administration is struggling to come up with an agreement to protect Kurdish allies from being attacked by Turkish forces when the US leaves. According to The Wall Street Journal, the US has been trying to work out a deal with Ankara on a political plan for northeastern Syria that would avert a destabilizing fight between Turkish forces and Kurdish forces in Syria. 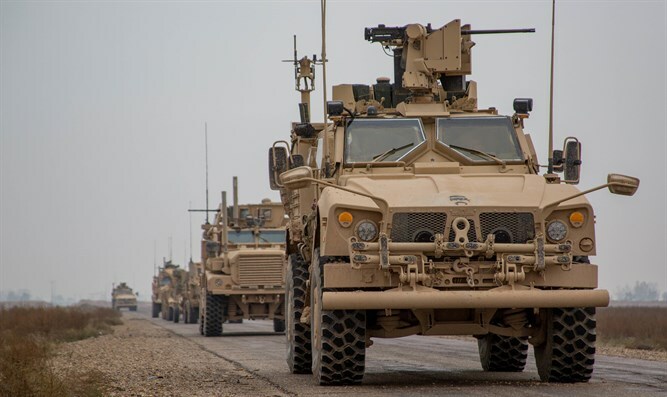 However, the two sides have made little headway, current and former US officials said, which means the US military withdrawal is proceeding faster than the political track. “We are not discussing the timeline of the US withdrawal from Syria,” said Navy Cmdr. Sean Robertson, a Pentagon spokesman. The report comes a day after President Donald Trump said that officials would announce next week that “100 percent” of the ISIS caliphate had been liberated.